We have affordable financing through Care Credit Financing with a fixed interest rate as low as 5.9% APR. 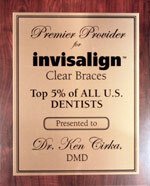 Payments are as low as $125 per month for a $5000 treatment fee. Financing plans are available for people with a wide range of credit history. There are no fees to apply. There are no prepayment penalties. Click here to apply online (page will open in a new window) or we can help you to complete the necessary application. Dr. Ken Cirka and the staff at Philadelphia Cosmetic Dentists will be happy to discuss your options with you and answer your questions. 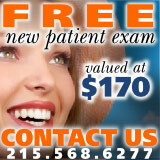 Please feel free to call 215.568.6277 for your free private consultation or schedule an appointment online.